This project was designed to be a culminating activity for the 3rd grade social studies unit of World Communities as well as an introduction to places in New York for the 4th grade social studies curriculum. These lessons integrate technology, social studies, and language arts in order to provide an interactive resource for students to cover this required content. This unit differs from other social studies lessons because it incorporates technology, promotes questioning and critical thinking skills to drive instruction. By creating a web site, students are incorporating their diverse abilities; their participation in the WebQuest also creates questions which will be used for future lessons. 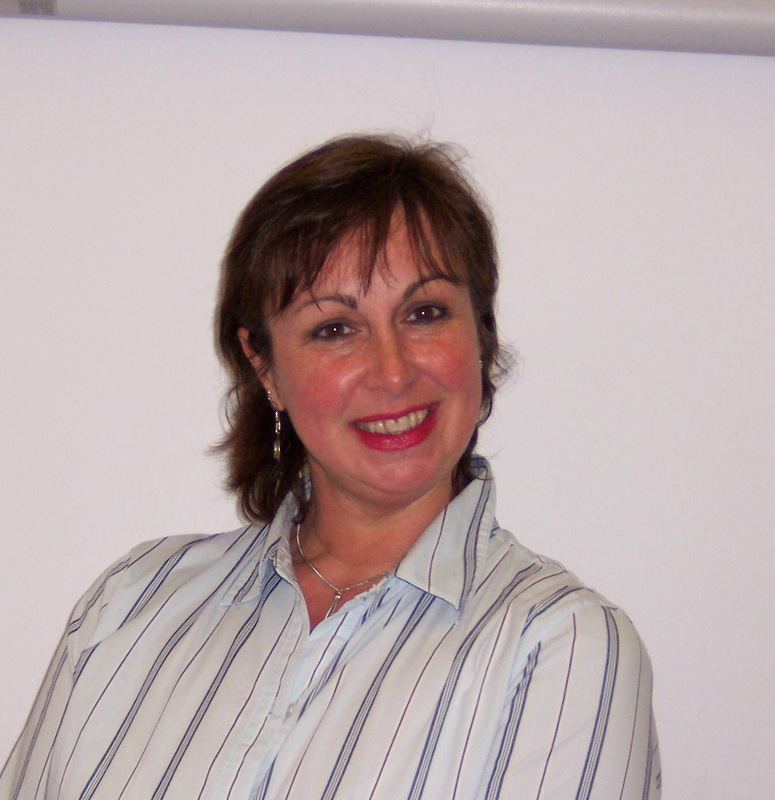 Eva Morris has been teaching at P.S. 164 in Brooklyn, New York for 5 years and is presently a 3rd grade Special Education Teacher in a Collaborative Team Teaching class. She has a B.A. in Sociology of Urban Children and an M.S. Degree in both General Education and Special Education. Materials: Computers with Internet access, Microsoft Word, printers and digital cameras. Experience using the Internet as an important research tool. Gain an understanding of why immigrants came to America. Identify the people that came to Ellis Island. Recognize the symbolism of the Statue of Liberty in the immigrant experience. Appreciate the use of role-playing as an effective learning tool. Freedman Russell, Immigrant Kids, Scholastic Inc.
Students will analyze the poem located on the Statue of Liberty. Students will be able to locate the Statue of Liberty. Students will comprehend the main idea of a poem. Materials : Poem by Emma Lazarus " The Colossus"; Photos of the Statue of Liberty and map of New York harbor. Connection: Locate the Statue of Liberty on the map of the harbor. Display photos of the Statue of Liberty. List on a chart what the students know about the statue (teacher might list her schema also). 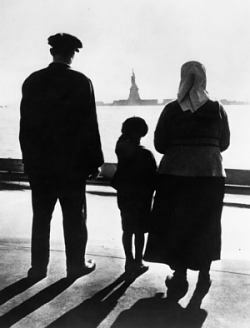 Introduce the word immigration and the poem "Colossus" by Emma Lazarus, for a shared reading and discuss the question we want to answer. Why do you think Emma Lazarus wrote this poem? Explain to the students that today they are going to learn about the famous poem and how you think as a reader to find deeper meaning in the text. Teaching : Teacher will introduce the vocabulary. Investigate the meaning of the phrases used in the poem and think aloud, modeling inferring strategies, in finding the meaning of several verses. Use the information from the chart to demonstrate. Write it on the poem by the phrase. Discuss, distinguish and restate the findings. Link: Remind the students that when reading poetry each verse must be analyzed and that an author uses interesting words when writing. We as readers need to think about what the text says, add what we know about the topic, look at the vocabulary and take a guess from the clues what the poem is mostly about. Checking for Understanding : After the students completed the task they will gather together to compare and share what they thought their assigned verse meant. Teacher writes the answers on the poem for all to see. Once all have contributed and a discussion was completed. Together with the teacher we try to determine the answer to the original question. Why do you think Emma Lazarus wrote this poem? The responses are listed and justified. Remind the students to from today on they need to be thinking deeper when reading. Students will describe why people had great desire to come to America. Students will gain knowledge of immigration. Students will identify three groups of immigrants and state their native countries. Students will view primary sources on the Internet. Materials: Prepare a chart of photos of people and faces of the time periods of 1890's to the 1920's (Primary sources), a timeline, computers, and activity sheet. Connection : Recall the prior lesson. Explain to the students that today they will be going on a quest or search on the Internet to answer problem based questions? Open the Class WebQuest Homepage. Discuss and review the page. Guide students as they scroll down. Teaching : Teacher will read and discuss the INTRODUCTION, the TASK, and the PROCESS located on the web page. Teacher models how to visit a web site. Modeling where the information can be found i.e..... click on (History /Experience) "Men usually ......." Teacher models a possible answer on chart paper. Designate partners. Why do you think that people wanted to come to America? Explain why people left their native country to come America? List as many things that you can about Ellis Island that you learned? Write down any other questions you have about the topic. Link: Teacher restates the original questions located from the WebQuest Part 1. Checking for Understanding: Students will share their answers to the questions and they will be posted on a large anchor chart for future discussion. Students will use the Visual Thinking Strategy when observing Primary sources. Students will use technology to find information and details. Connection: Review the anchor chart from lesson 2. Have a discussion based on the information generated from the chart. Teacher will post questions on board. Display a picture and explain how we need to combine what we see and what we are thinking to help us understand better. A picture could be information also. Teaching: Teacher makes a list of her own thinking and writing; about what is seen in a picture of Ellis Island. The teacher lists possible thoughts and questions that come from the picture. Teacher Brainstorms what is seen and posts it on the board. Demonstrate how the things we see in the picture might give us a good idea of what is going on in that time period. Review the questions to be answered from the WebQuest page. Active Engagement: Teacher circulates as students discuss and look for information on the WebQuest. Teacher probes students into deeper thinking and assists where necessary. Making sure that the students are using accountable talk with each other and writing their answers to the following questions.  What do you notice about the pictures of the people and Ellis Island?  How do the people look different from the people of today?  List the things that you learned about Ellis Island.  Write down what you were wondering about as you are reading. Link: Teacher reminds the students to use the information that they have learned from the prior lessons to answer the questions on the WebQuest. Checking for Understanding: Students will share their information and notes. The information will be posted and used for a final project. Students will compare and contrast how the journey of one of the immigrants from a selected web page on Internet to the journey of past immigrants. Students will pretend to be an immigrant in order to create a journal. Students will include the possible problems they might encounter and the wonderful new life that they will have in America. Materials: Notebooks with information collected, computer. Connection: Revisit prior lessons in the unit and discuss the good things and bad things that happened to the people, when they came to the United States. Direct the students to the Teacher.scholastic.com website. Teaching: Teacher will direct the students to the website which contains interviews of child immigrants of today. Teacher will discuss how things in the past were different from today. Teacher will model how she might write a journal while pretending to be an immigrant. Explain to the students that they must use the information that they gathered from the past resources. Active Engagement: Teacher walks around and observes students as they look for information from the designated website. Teacher reminds the students that they too are children and they should try to feel how the child on the website feels about coming to this country and being an American. Link: Teacher focuses and reminds the students of all the things that they have learned from the other lessons on immigration while they are writing their journals. Checking for Understanding: Students will share their journals and explain the life of the immigrant that they chose to write about. Students will explain how they compare their lives to the immigrants. They also give their opinions with supports as to why they are thinking the way they do. Students will access, generate, process and transfer information using appropriat technologies. Students will apply the knowledge and thinking skills of technology to address real-life problems and make informed decisions. Students will use a variety of intellectual skills to demonstrate their understanding of major ideas, eras, themes, developments and turning points in the history of the United States and New York.